See more objects with the tag architecture, interior decoration, furniture, flowers, storage, marquetry, walnut, sunflowers. See more objects with the color darkslategrey darkgrey darkolivegreen grey dimgrey or see all the colors for this object. This is a Bookcase. It was made by Herter Brothers. We acquired it in 2013. Its medium is joined and inlaid walnut, ebonized cherry, marquetry of various woods, incised gilding, plate glass, cast brass hardware. It is a part of the Product Design and Decorative Arts department. This tripartite inlaid bookcase cabinet was produced by the Herter Brothers, the most important 19th-century American Aesthetic Movement furniture maker. The cabinet shows the influence of the English Reform Movement architect Bruce Talbert in its ornamentation and intentionally chaste rectilinear form. 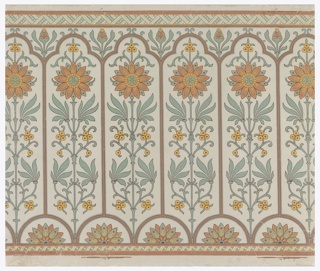 The ornamentation includes marquetry motifs derived from sunflowers, a favorite symbol of both the British Aesthetic Movement and the Herter Brothers. The quality of the inlays is superb, a specialty of Herter Brothers that led to their being one of the first—if not the first—American furniture makers to have a following abroad. 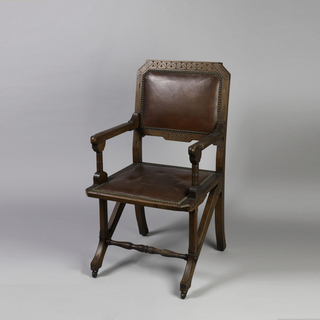 Herter Brothers pieces were exported to Britain at the time they were made, which raises an extremely interesting issue of the possible reciprocal influences between their work and those of their British contemporaries. 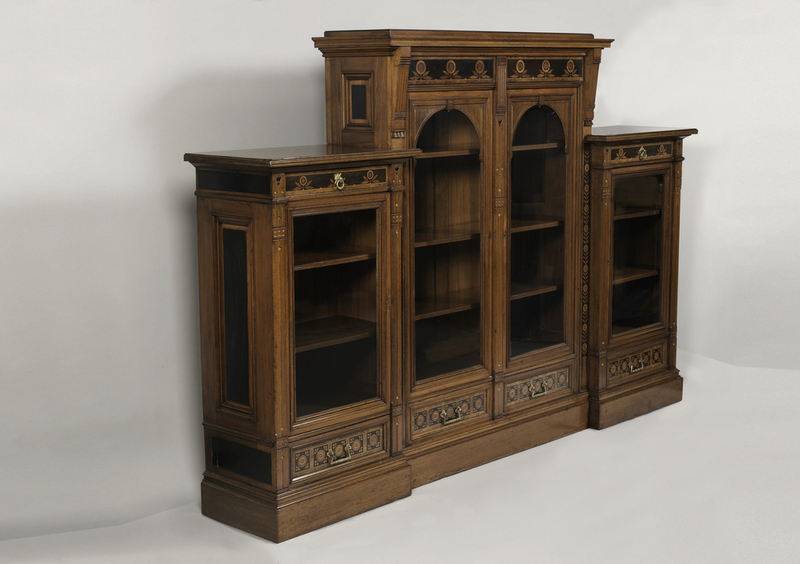 This bookcase cabinet would be the first marked piece and the first case piece of furniture by the Herter Brothers to enter museum’s collection. 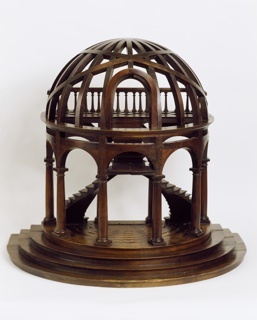 The shelves and top make this an excellent piece for the exhibition of period objects and book bindings. This object was donated by George P. Ververis Jr..